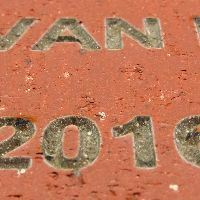 The majority of brick fundraising projects take the form of walkways or other similar, horizontal, installations. 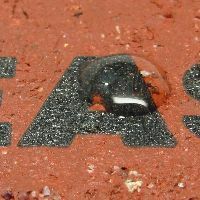 A deep engraved mark in a horizontal installation will tend to fill with sand, dirt, chewing gum, and even more unsavory materials. This will lead to ongoing maintenance problems and costs for your group. Therefore, a surface mark provides the best solution for these applications. 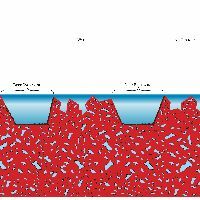 Our technology results in a fused glass layer, permanently bonded to the brick or tile surface. 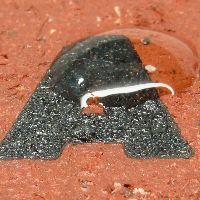 This layer is far stronger than the brick itself and is impervious to weathering and other sorts of damage (See here for testing results). 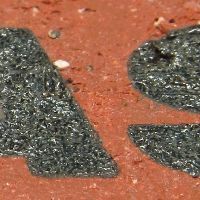 Companies in this industry who exclusively practice deep engraving certainly recognize the potential issues with maintenance - some of them even offer to fill their marks with organic materials such as filled epoxies in various colors. Sometimes they charge for this service and sometimes they do not. The point is that the filler material becomes the "weakest link" in their products. 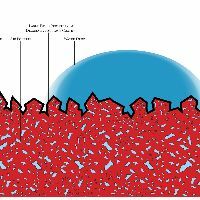 Any home owner who has watched the organic materials in their roof shingles or vinyl siding fade, curl, embrittle, or otherwise fail knows from experience about this weak link. 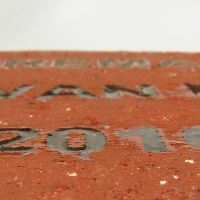 If your fundraising application calls for a vertical installation and you would prefer a deep engraved mark, That's My Brick!® would be happy to provide that for you. 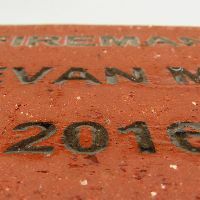 As mentioned above, our brick marking technology using lasers can provide either.